June 28, 2018--In 2010, I purchased this beautiful project by Margaret Kinsey offered through the Shining Needle Society. 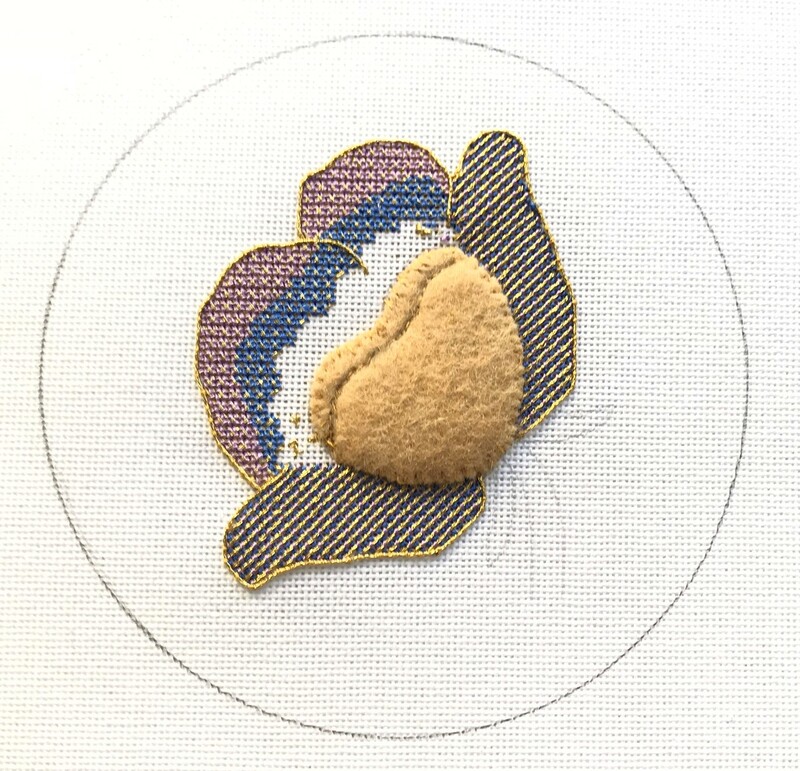 I finished stitching the upper portion of the tulip as well as the side petals, padded the tulip's interior, as pictured below, and decided to go no further. After re-reading the instructions, I can see why. I'm at the point where the cutting of purls is in order and this is all new to me. 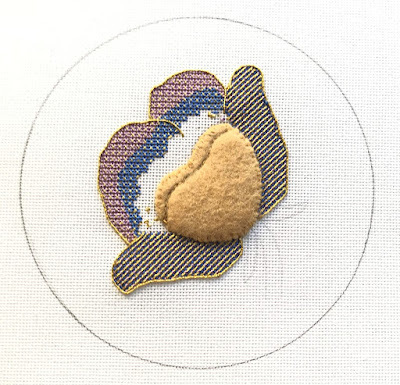 However, after reading about the beautiful goldwork projects done by D1D2 on her blog, I have learned a lot and feel confident that I can tackle this head on (famous last words). I plan on doing the cutting and stitching of the gold purl pieces during the day, sitting at the table in my craft/sewing room where I have plenty of light. To see the project photo, please click on "In Process Projects" under Pages on the right. Just go for it! You will be fine.